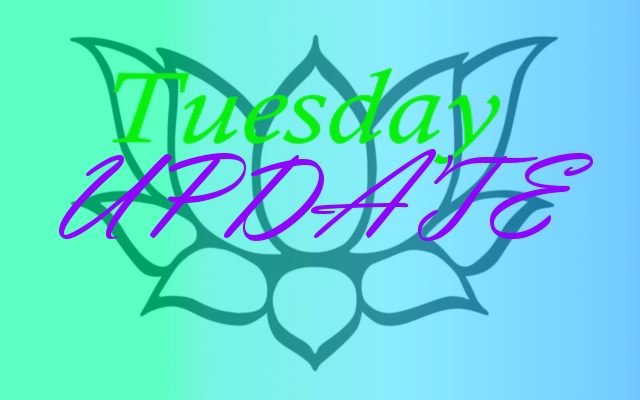 That’s right its your Tuesday Update Coming at you on time and up front(WTF?!?!). That’s right up front, meaning you will always get the real me being personal,Honest, and Humble because that’s what you all deserve and that’s been my aim since day one. Without further a due, Let’s Get started. Gaming Update – So This week I have some things recorded for you and will be released after tomorrow. I am getting an actual microphone tomorrow so everything will be better. The next Tuesday Update will be in May and I have another let’s play game series coming out next month in May which will be The Witcher 3: Wild Hunt. I will be doing more videos as time goes on and will get schedules ready for all you very soon. Streaming – I plan on doing way more streaming from my PS4 and I will get a streaming schedule ready for all you. So you all will have a much chance of knowing what day and which times I will be streaming. So stay tuned I plan on streaming alot of games and it’s going to be amazing, fun times ahead. Blogging – I love writing everything for you guys so far and that love grows everyday so I will be doing more and I plan on adding a new Scheduled Daily Post so then you all will have 3 Daily Post to look forward to. I can’t wait to share some new things with you all because I plan on writing a story and I want to involve all you in the story process. Other New’s – I am very excited my Fiancee Candi, is starting school next fall for photography and I am very proud of her for everything she has done for us as well as for taking steps toward her dream. Expect another Very Special Feature in the future with her because it will be an amazing piece and it’s very inspiring and life changing stories that make some of you see what I see in her everyday. Ok now I want to share something with all of you that I want to leave you all inspired to be a better person and to always keep at it even in the hard times. Story Time – So one of my sister’s is having a birthday coming up soon and I talked to my father last night. He informed me that he had recently got in touch with Kelsey and had made plan’s to see her on her birthday as well as treat her to a nice dinner. When I talked to him and he told me that felt happiness for him, I also felt amazed because it’s a changing point for him and show’s that he still want’s to become a better person. Which is a great thing knowing one of his brother’s that just past away awhile ago had a hard time moving forward and letting go of the hatred. I told my dad last night that it’s great he’s trying to reconnect with my sister again and I just encourage him that he was doing the right thing and it’s inspiring because I have told him before plenty of times that it’s never to late to change your life in making it better and that it’s never to late reconnect with someone you love. Now I don’t think I had that much influence but I would like to think that he started believing in himself and start believing in change by seeing me trying hard to become a better person. I love everyone I have in my life and if I can help them become a better person just by showing them, well then I know we can all make a difference even if it’s a small one because that small change could someday become a big change that you make in this world. Remember Your Scar’s can turn into Beauty if you believe it can.